How to Apply Page Manager of A-PDF FlipBook Creator? I am interested in using your page manager functions. But when I open A-PDF FlipBook Creator, I can find it nowhere. Please tell me how to apply the page manager function in easy-to-understand sentences. 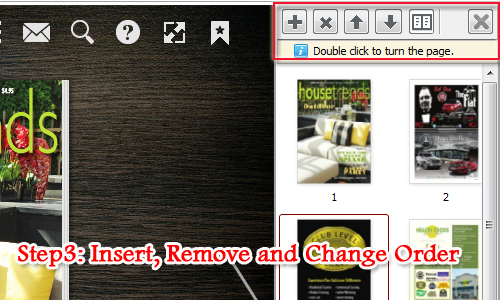 If you are tired with reading the PDF page by page, then you can try to read the PDF as page flip book. A-PDF FlipBook Creator is an outstanding flip book creator for creating 3D page flipping digital publication such as e-book, e-magazine, e-catalog and e-brochure. For one thing, you can create an impressive page turning digital publication in several simple steps; for another, the digital publication can be viewed on mobile devices as long as you upload it online. 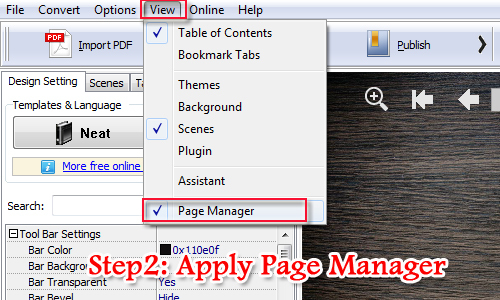 Then here we would like to show you how to apply page manager and edit the PDF order and page with ease. Open A-PDF FlipBook Creator, and then create new project and continue to importing PDF file or images to flip book. Move to upper left corner and click view and then select page manage from drop-down list. Then the page manager will show on the right side immediately. With page manager of A-PDF FlipBook Creator, you are able to insert new page such as SWF, image and flipbook page, remove flipbook page, and change the order of flipbook page with ease. 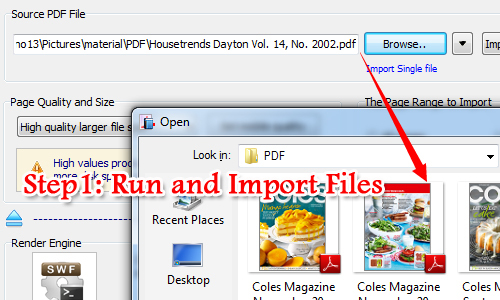 What’s more, it allows you to select page view mode to view PDF page with ease.